I know, I know. Studs are so passé now, right? I pretty much heed whatever The Glamouri says and she declared that studs are "so over" more than a month ago, but REALLY? If that's the case, why can't I stop myself from standing in my closet each morning, wishing for this blazer? Friggin' pathetic! So you know what? Inspired by What I Wore's DIY studded Chanel style jacket, tomorrow I'm going to attempt to replicate this myself. What what! 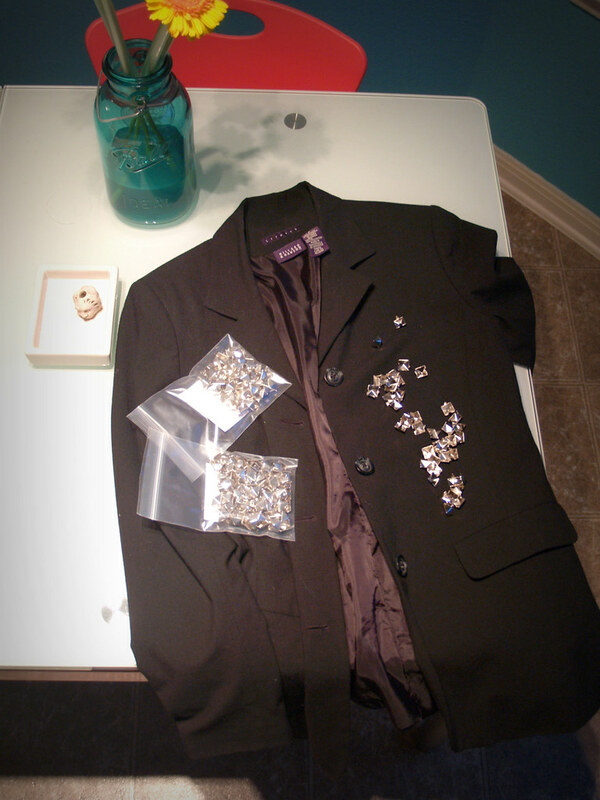 I'm going to use the blazer I got at Savers a couple weeks ago and the studs I ordered on eBay from SpikesandLeather.com (warning: that last link is hilariously NSFW). 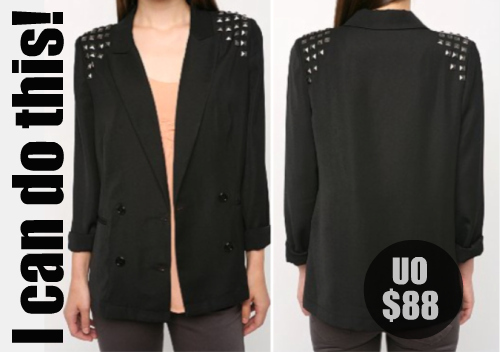 I paid $5.99 for 100 studs (and ordered an extra 100 to be safe) and $5.99 for the blazer. If it all works out, I'll save myself $76! I'll update you tomorrow with my progress. Check out this superfluously long scarf!